Every February Playa Hermosa in Uvita, is transformed into a small village where more than 7000 people from all over the world coexist. During these 4 days they can participate in permaculture and natural medicine workshops, yoga and meditation classes and others. The exhibition of art and exchange of cultures and the delicious organic food are some of the best things found in the Envision Festival. This event is 100% free of plastic for single use, to the stands of food and drinks. Each visitor must bring his own plate and utensils to eat (they offer facilities for those who did not bring them.) Since it is a single-use plastic-free event, no product bottled in plastic is sold and all the alternative materials are compostable. There is an excellent waste management plan that allows 90% of the waste to be recycled and separate the organic waste, used for compost. A team is in charge of maintaining order and educating visitors regarding the separation of solid waste. In recent years the Envision Festival has been working with sustainable development and the annual cleaning of beaches before the event. For 2019 we are working and supporting the initiative Cleaning the Canton of Osa, originated by young people of Ciudad Cortés and Palmar Norte. The goal is to carry out a massive beach clean-up with volunteers and with the help of the Department of Environmental Management of the Municipality of Osa and the Tammy Recycles Campaign for which the Ecosonrise company will be donating biodegradable bags. For the organizers of the Envision Festival is very important to raise awareness of protecting natural resources and maintaining Osa always green. All volunteers of age who work with beach cleaning will be giving an entry of general admission for the 4 days of the festival (see regulations on the official site of the event). Protecting the environment is the responsibility of All of US! 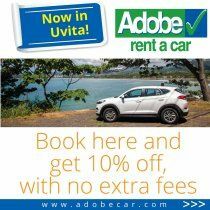 Posted in Costa Ballena, Life Style, Life Style, Local News and Community Initiatives, Local News and Community Initiatives, Tourism & Entertainment, Uvita, Uvita, Uvita and tagged community, environment, envision, Event, lifestyle.